Elevate your mind, body, and spirit. 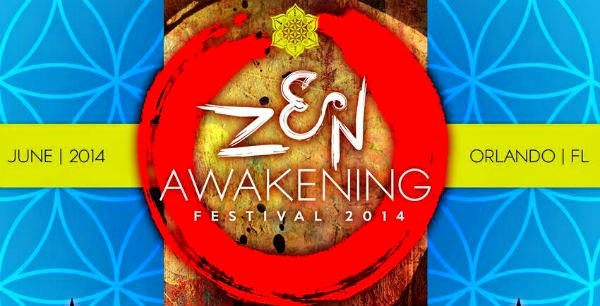 The first ever Zen Awakening Festival is happening June 20-22 in Winter Garden, Fla., less than 30 minutes from Orlando. Surrounding the summer solstice, this festival is intended to "promote enlightenment, spiritual awakening and the unfolding of our oneness with the universe." Attendees can expect mind- and body-opening activities, such as yoga, meditation, drum circles, and presentations on topics including spiritual transformation and awakening. Music will be provided in the evenings by Minnesota, Earphunk, and others. There will also be dancers, fire performers, and art installations visible at the event. Zen Fields, home of Zen Awakening Festival, is a picturesque, 700 acre campground with green meadows, oak forests, and calm lakes. The practice of Leave No Trace will be encouraged over the weekend, in order to minimize the impact of the event on the natural state of the property. Tickets are currently available online for just $89 until June 19. The price will increase to $144 after that date. Visit the website for more information on individual performers, activities, and art installations, and to read the rules and guidelines and camping info to ensure the best Zen Awakening Festival experience possible. Listen to Voyager, the new EP from Minnesota, and get a free download. Are you looking forward to his set at Zen Awakening Festival? Comment and share your thoughts below or like the Facebook page to stay updated on Orlando area events.